Congratulations to the students from Balla Secondary School who were worthy recipients of the 2015 John Paul II Awards in the basilica in Knock on Thursday night last. Ms Marceline McHugh and Fr Denis. This entry was posted in Community Notices, Education, Gallery, General, Recent Happenings, Uncategorized and tagged Archbishop Neary, awards, Balla, Belcarra, community notices, Diocesan Youth Officer, JP II Awards, Knock, Pope John Paul II, Tuam, Youth. Celebrate the Annual Day of Thanksgiving for those baptised in the parish during last year – on Sunday April 26th in Belcarra Church. Have an Appreciation Day for the Sacrament of Marriage on the weekend of September 26th/27th at both Masses. Look at ways of developing more youth involvement in the life of the parish. 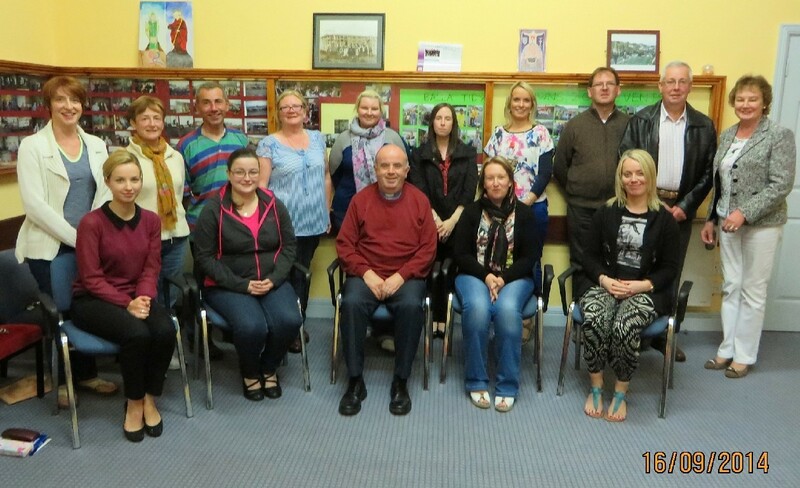 Our Diocesan Youth Officer Siobhan Bradley attended the meeting and offered some very positive suggestions. The parish has been invited to submit an article for the next issue of New Dawn (The Diocesan Magazine) about our parish website. This entry was posted in Community Notices, General, Recent Happenings, Services, Sport, Upcoming Events and tagged Balla, baptism, Belcarra, Catholic Church, church, church service, community, Diocesan Youth Officer, marriage, parish, Pastoral Council, sacraments, website, Youth.